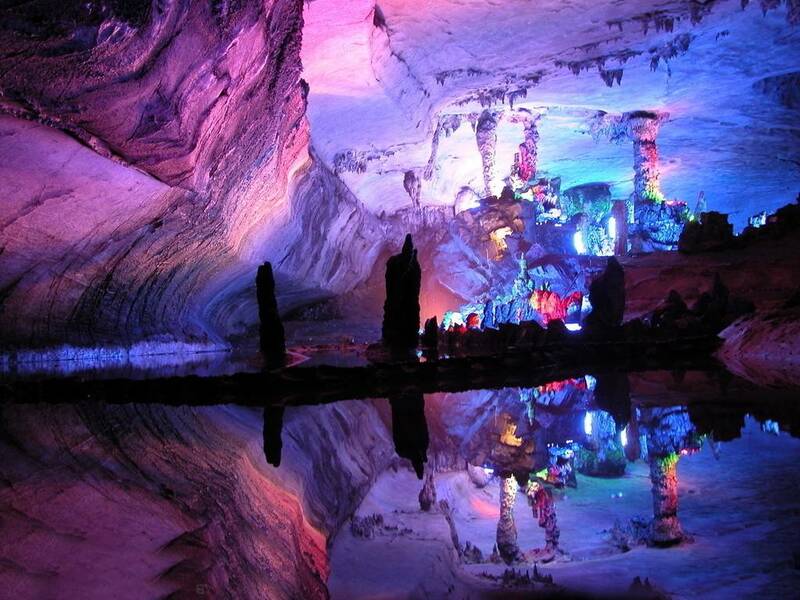 Caves have been explored throughout history. In prehistory they were used for shelter, burial, or as religious sites. Today researches study caves because they can reveal details of past climatic conditions. Cavers explore them for the enjoyment of the activity or for physical exercise. 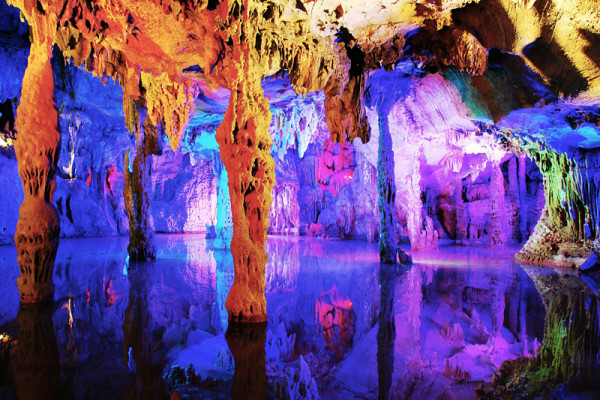 For the less adventurous, a number of the most beautifulunderground caves have been converted into show caves, where artificial lighting, floors, and other aids allow the casual tourist to experience the cave with minimal inconvenience. The Eisriesenwelt (German for “World of the Ice Giants”) is largest ice cave in the world, extending more than 42km (26 miles). The cave is inside the Hochkogel mountain in the Tennengebirge section of the Alps in Austria. Eisriesenwelt was formed by a river, which eroded passageways into the mountain. The ice formations in the cave were formed by thawing snow which drained into the cave and froze during winter. The Cave of the Crystals was discovered in 2000 by miners excavating a new tunnel for the Naica Mine in northern Mexico. The main chamber contains some of the largest natural crystals ever found in any of the underground caves around the world. The cave’s largest crystal found to date is 11 meters (36 feet) in length, 4 meters (13 feet) in diameter and 55 tons in weight. The crystals became so large because of the extremely hot temperatures inside the cave, reaching a steamy 58 degrees Celsius (136 degrees Fahrenheit), that allowed microscopic crystals to form and grow. The result is an underground cave that Superman fans have been looking for. The Puerto Princesa Underground River is located in a jungle covered mountain range on the northern coast of the island of Palawan in the Philippines. Until the 2007 discovery of an underground river in Mexico’s Yucatan Peninsula, the Puerto Princesa Underground River was reputed to be the world’s longest underground river and is still the longest navigable underground river. 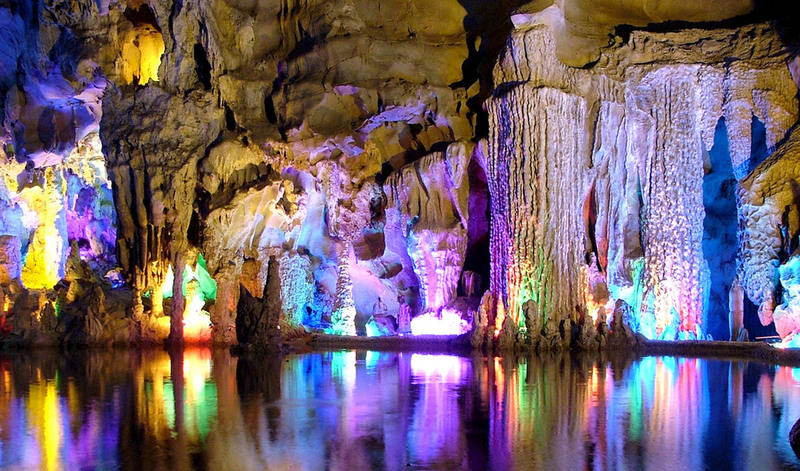 The underground river is 8.2 kilometer (5 miles) long that winds through a spectacular cave before emptying into the South China Sea.